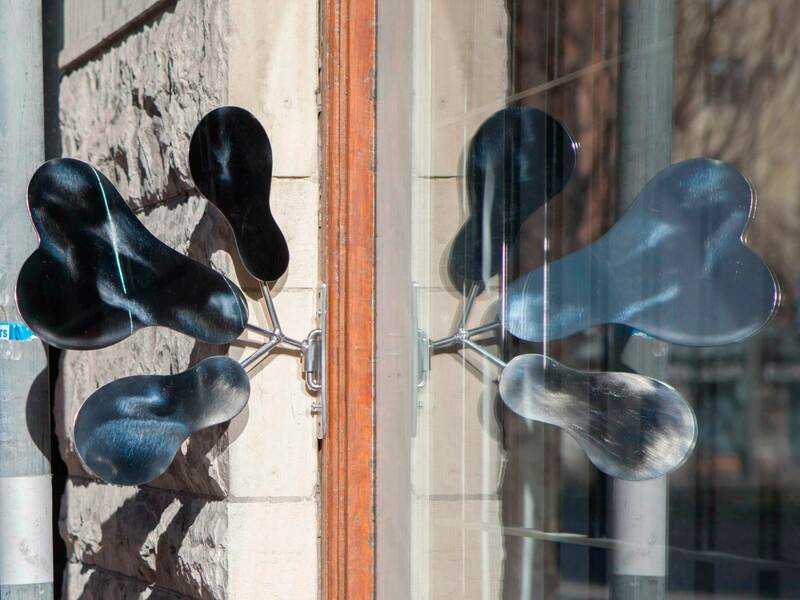 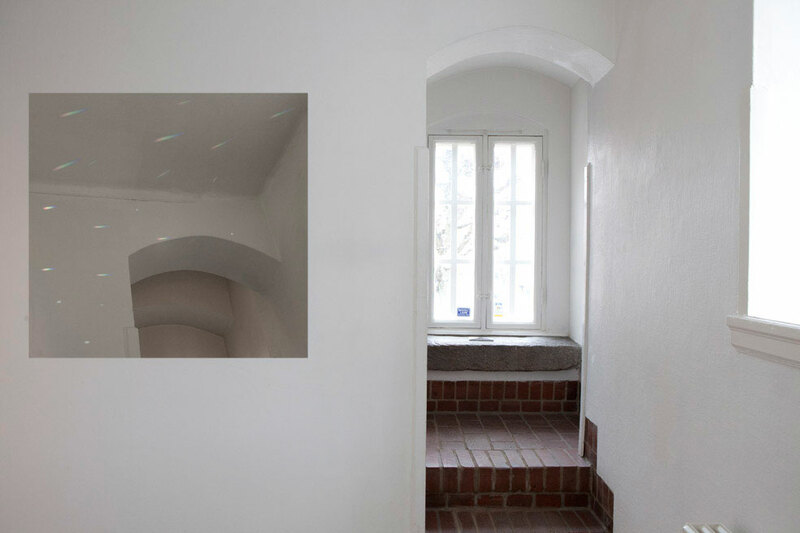 Light tricks, mirrors reflecting the sun into Galleri Fagerstedt, Stockholm, 2015. 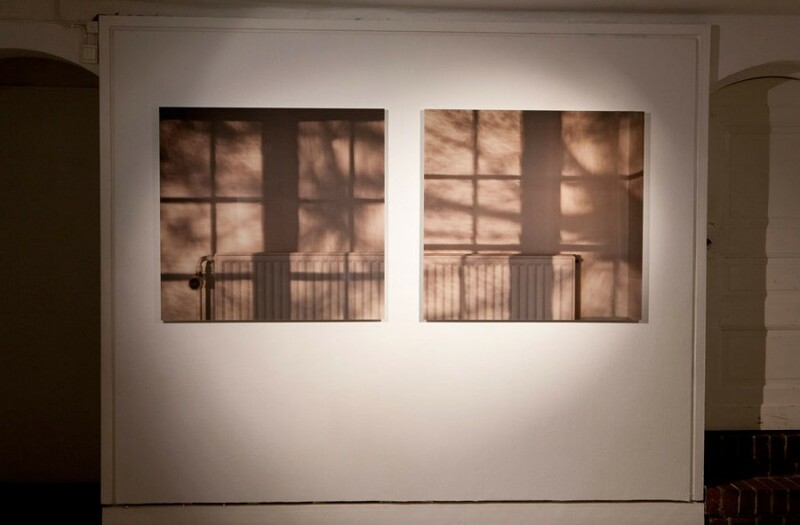 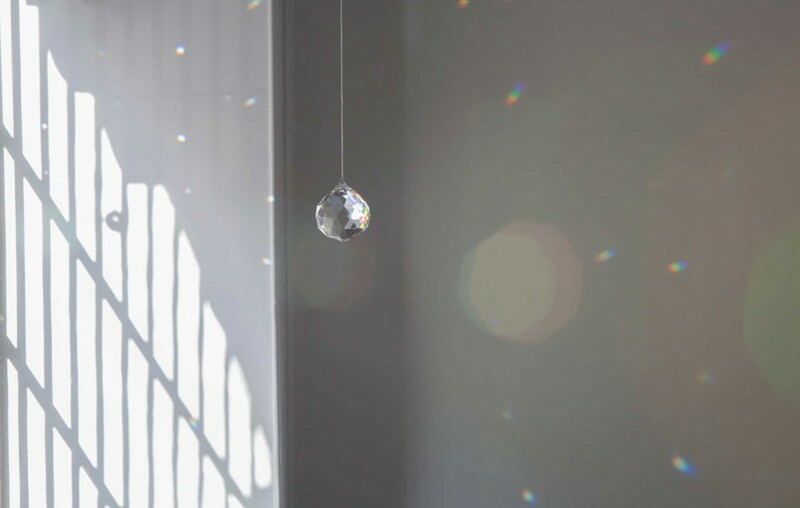 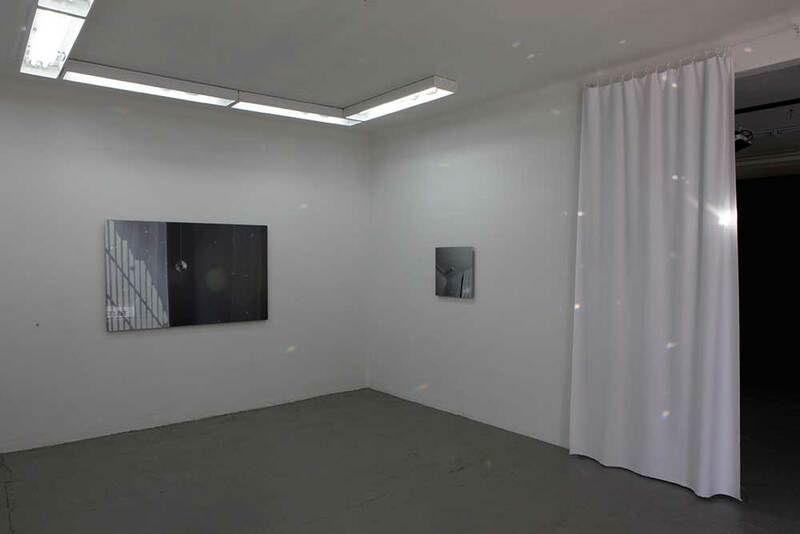 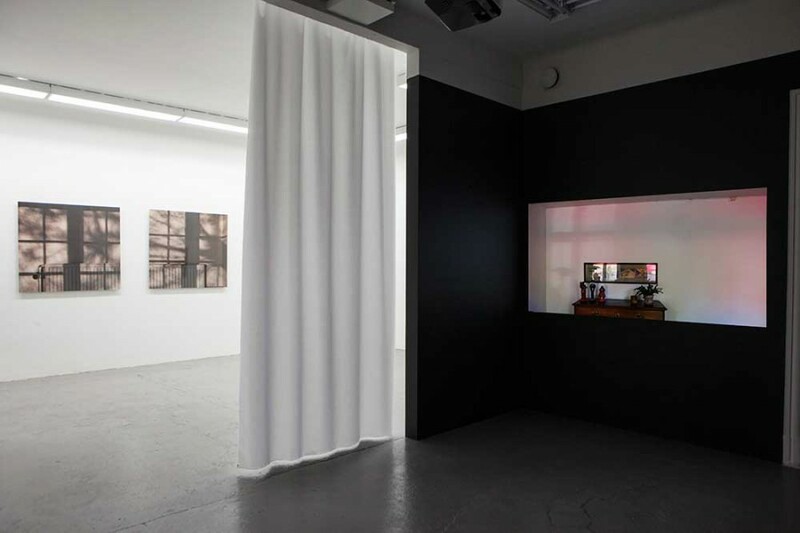 Installation view, Galleri Fagerstedt: Two site specifik pictures, taken when the sun was reflected into the space through prisms, diffracting the light. 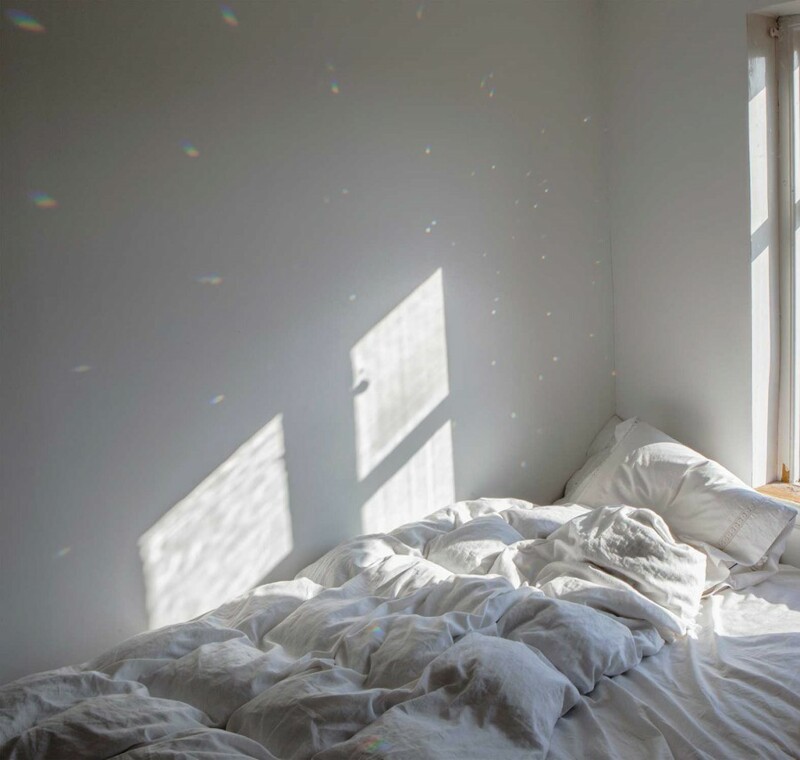 I had to stay in bed several weeks and was observing the light changes and the different colours of the light in the bedroom. 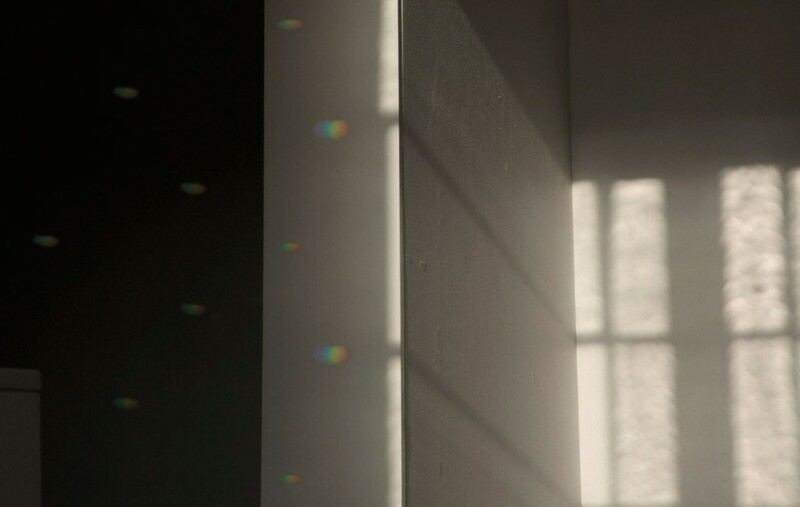 The camera had been my tool all my life, so light conditions and white balances was always part of work, but I had never before seen the changing colours of the light this clearly. 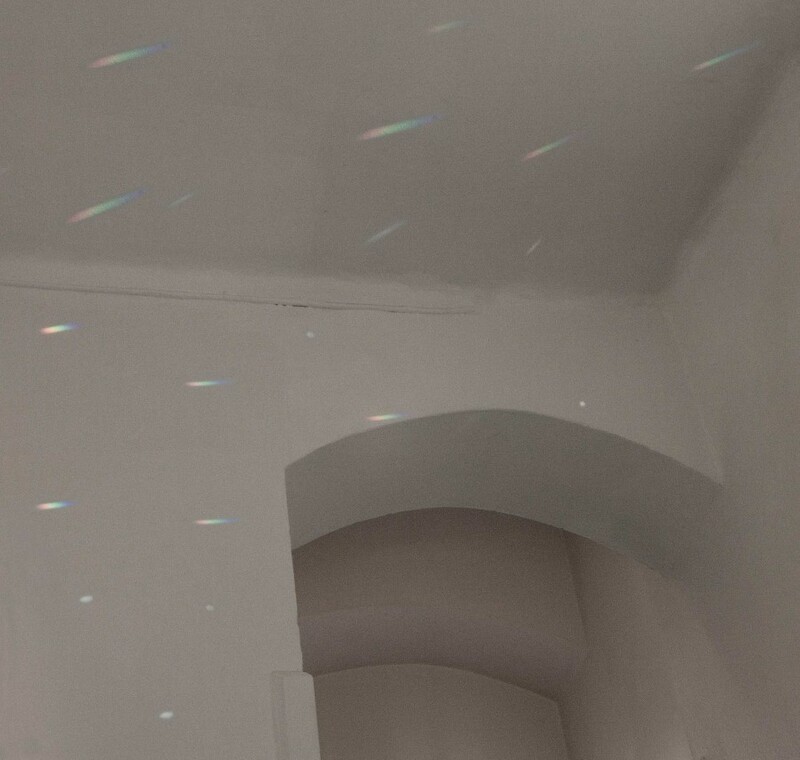 I started to document it lying in bed. 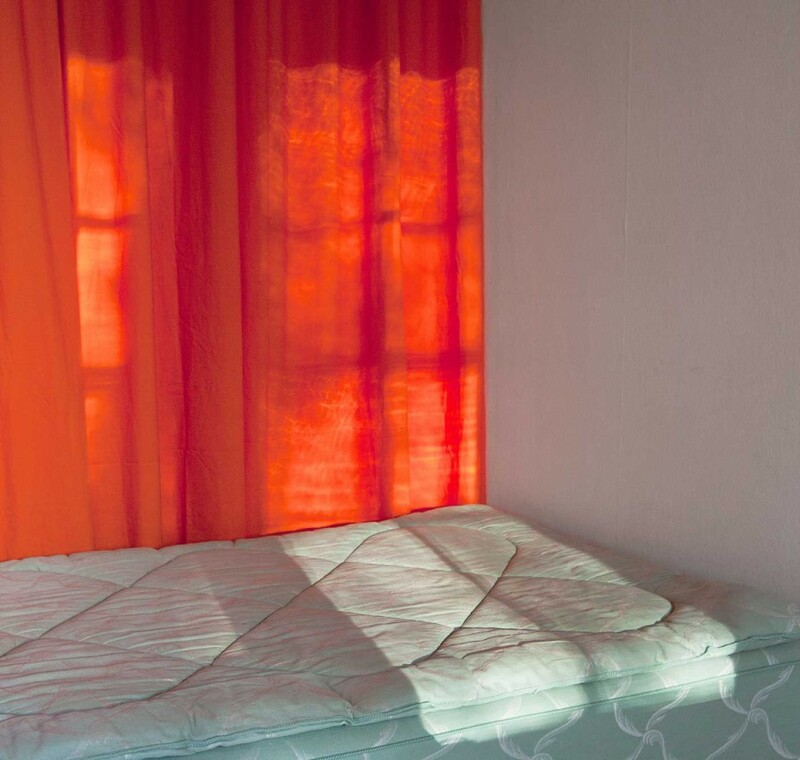 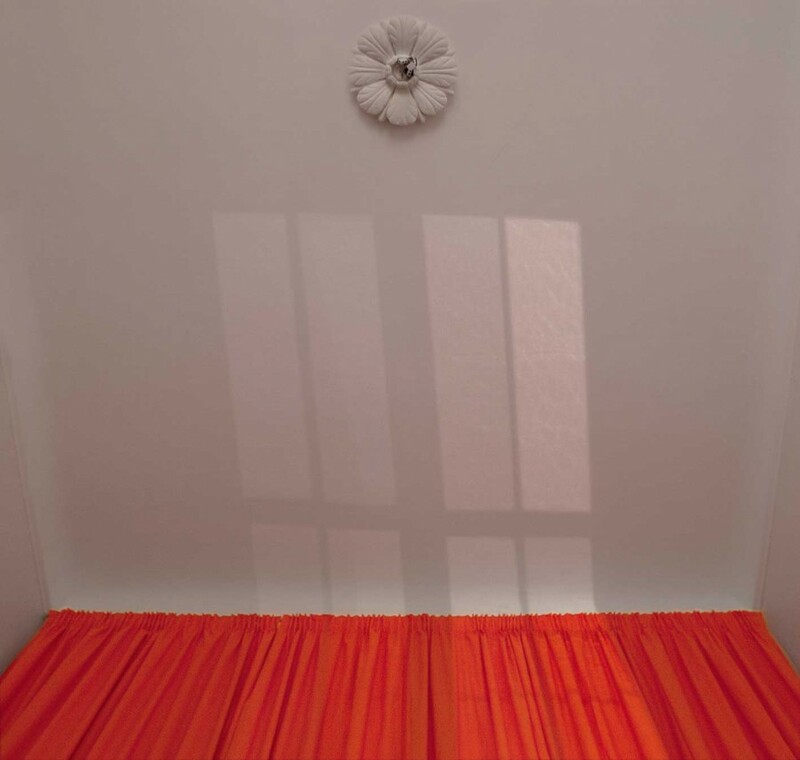 Later, in the darkness of the winter, when I was working on a show, I looked through all these hundreds of images, and thought of that great experience; every time I opened my eyes during my illness, I saw a different colour of the sleeping room. 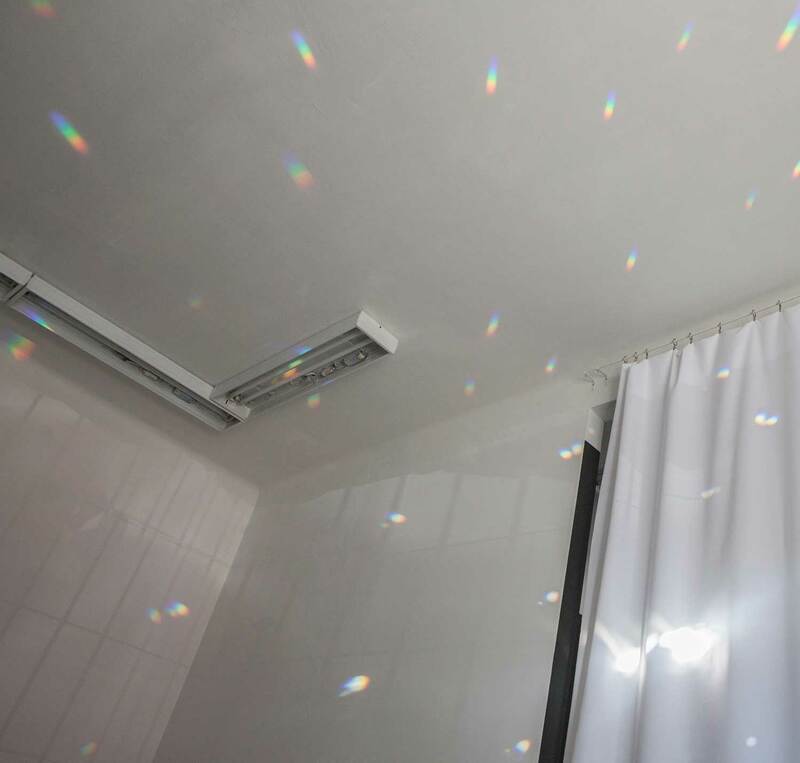 It was all so clear and I could see it in the images. 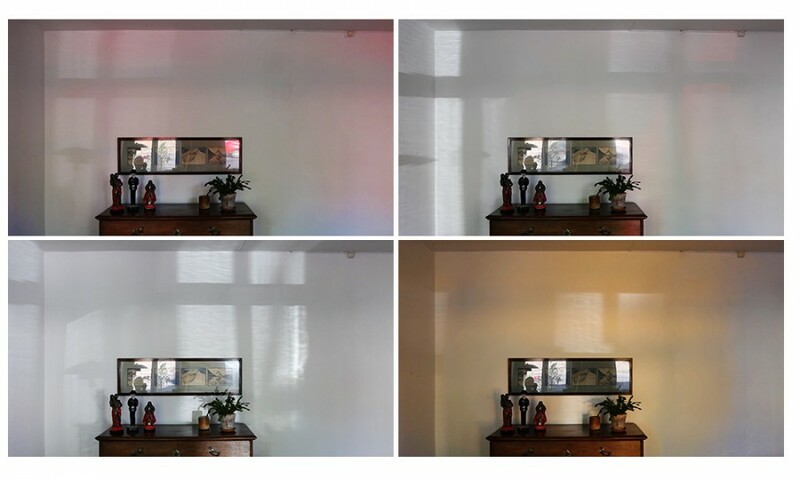 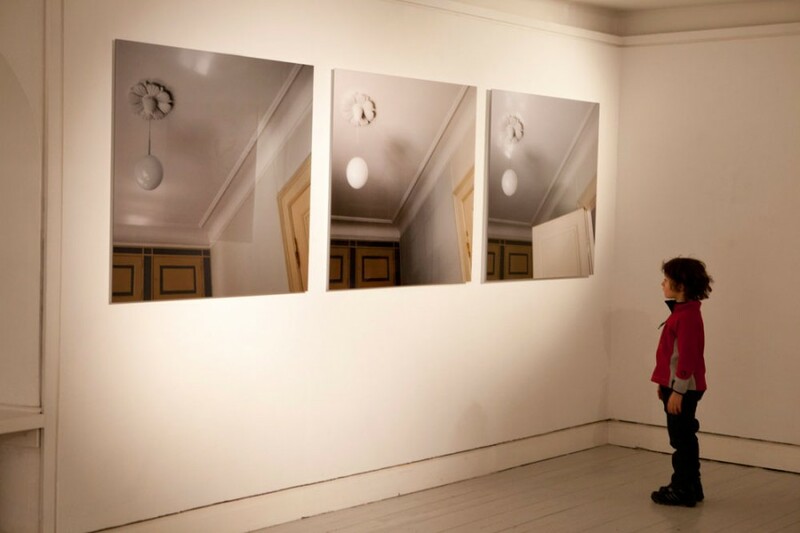 I decided to cut it all down to a triptych, and choose some images of the ceiling and the lamp, and thought of William Egglestones light bulb in the brothel.